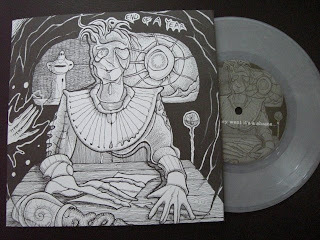 The Endless Quest...: Free 7"s! A friend came round to my place a couple of weeks ago and gave me two 7"s. I didn't ask for or expect them, so it was a nice surprise. I gave him a 7" in return, so I guess on paper this may be considered a trade. But no, it definitely wasn't a trade. I don't know anything about this band other than who the singer is. I don't know anything about pressing info for their records. I don't even know what they sound like as I haven't listened to this yet. 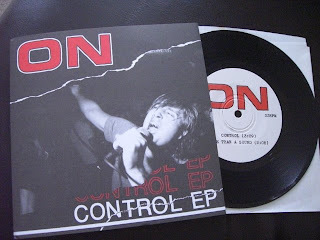 On - Control ep is simply awesome. if you don't like the On 7" i'll gladly take it off yer hands...i'm looking for both of them. End of a year is easily one of my favorite bands going right now. I have a pretty decent collection going right now.